In what was the Warriors 4th season in the ARL, it was a year that presented them with not only their lowest finish in their short history but also saw crowds plummet, with an average attendance of under 9000 people. Matt Ridge retained the Captaincy for the 2nd season in succession while Frank Endacott was retained as coach of the side for what would be his first, and final full season in the head coach position after taking over from Monie in early 1997. 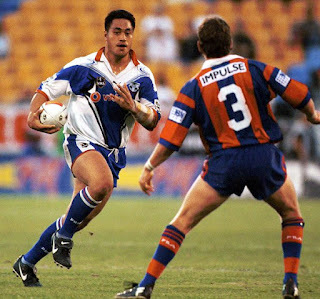 1998 could be best described as a soul destroying season, with only the stuggling Cowboys, Adelaide Rams, Gold Coast, South Sydney and Western Suburbs finishing off the year in a worse position than us. Playing 24 games, the Warriors only managed to string together 9 wins while going down on 15 occasions. We finished the season on 18 points, scoring 417, conceding 518 leaving the team with a negative differential of -101. Milestones for the year included Joe Vagana and Syd Eru notching up their 50th game for the club in Rd 5 and Rd 6 respectively. 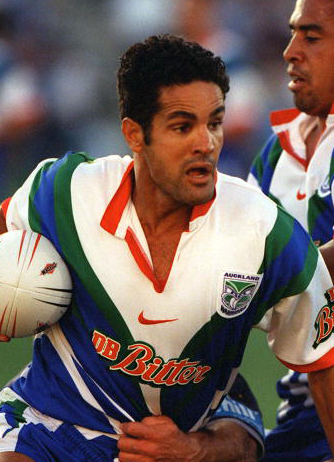 Nigel Vagana was the clubs leading try scorer, crossing the stripe on 13 occasions while Ridge was the leading point scorer, kicking 51 goals and helping himself to 2 tries for a grand total of 110 points for the year. Joe Vagana was awarded the Player of the Year Award. Their worst result for the season was a 31-4 defeat at the hands of the Newcastle Knights, while their strongest performance was against the Dragons, coming away with the win 31-14 at Mt Smart Stadium in front of only 8,300 fans.